Together » Blog Archive » Does Britain’s focus on the Kindertransport hide a guilty conscience? Does Britain’s focus on the Kindertransport hide a guilty conscience? LONDON — At 5:30 a.m. on the morning of Friday, December 2, 1938, a boat carrying 206 children reached the British port of Harwich after a short journey across the North Sea from the Hook of Holland. 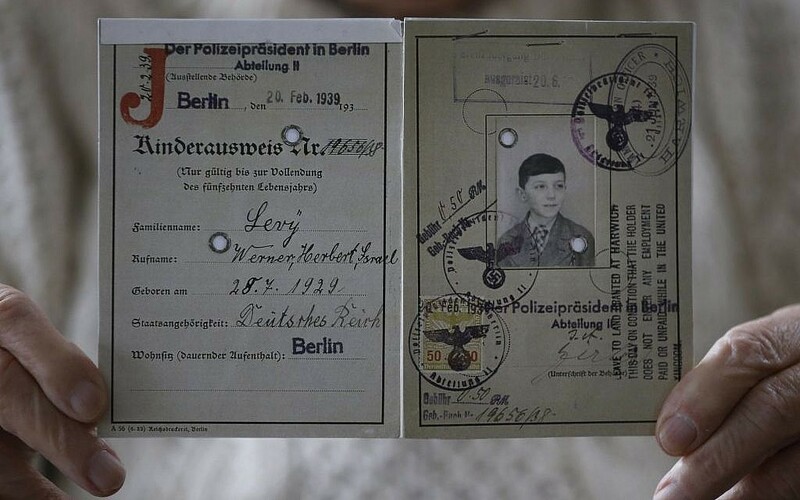 The Jewish children onboard, who were allowed to carry one suitcase and 10 reichsmarks (about $400 today), had left their homes and parents in Germany with just a 24-hour notice. 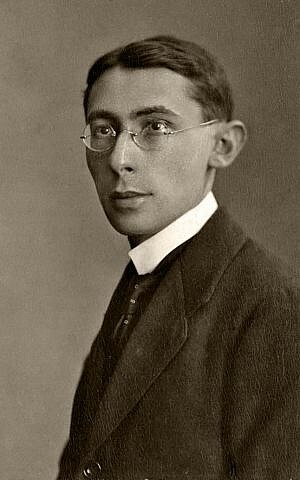 Less than a month had passed since the terrible events of Kristallnacht had led the UK to push ajar the largely closed door it had previously presented to Jewish refugees attempting to flee Nazi tyranny. A week later, the Cabinet of Baldwin’s successor, Neville Chamberlain, agreed to cut through the red tape of the visa system for children under 16 and lift all limits on the number allowed into the country. Within a year, nearly 10,000 children would arrive in the UK on Kindertransport from Germany, Austria and the Czechoslovakia. As one of the most eminent historians of the Holocaust, the late Martin Gilbert, argued: “No other country made such an effort to take in Jewish children as Britain.” Indeed, legislation to allow the United States to undertake a similar initiative never made it out of congressional committees. As the country marks the 80th anniversary of their arrival, Britain is rightly proud of the Kindertransport. Elderly survivors have been interviewed by newspapers; Prince Charles hosted a special reception; and exhibitions are underway. The Kindertransport is etched into the national consciousness, a heartening prelude to the heroic stand the country would take alone against Nazism 18 months later. The example of the Kindertransport is, moreover, not simply a matter of history. Its participants and their heirs have acquired a moral authority to speak out — and be heard — on contemporary issues surrounding refugees and migration. Louise London, author of “Whitehall And The Jews, 1933-1948 British Immigration Policy, Jewish Refugees and the Holocaust” has suggested: “The myth was born that Britain did all it could for the Jews between 1933 and 1945. This comfortable view has proved remarkably durable… We remember the touching photographs and newsreel footage of unaccompanied Jewish children arriving on the Kindertransports. 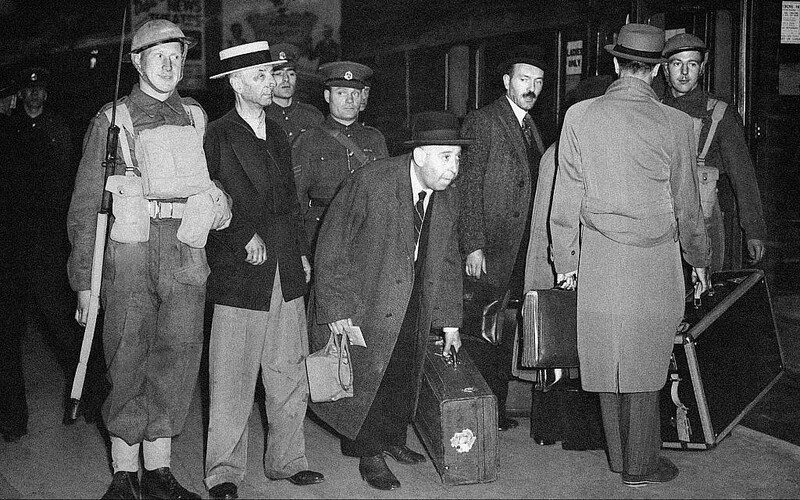 Moreover, while those Jewish refugees who made it to Britain were undeniably the lucky ones compared to those left trapped on the European continent, some of those the UK took in were later designated “enemy aliens” and faced internment and deportation to Canada and Australia. 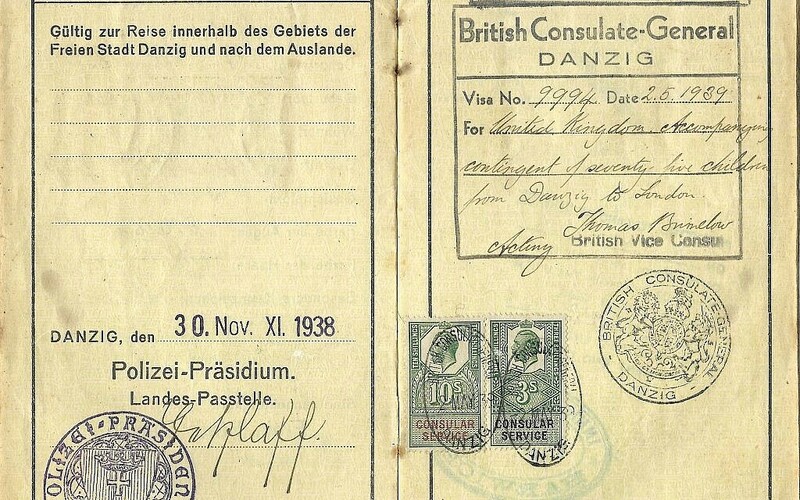 Britain adopted a highly restrictive policy towards migrants throughout the 1930s. No exceptions were made for refugees, meaning that by early 1938 there were only about 10,000 Jewish refugees in the country. Moreover, they had been allowed into the UK only on the strictest conditions. Due to high unemployment, there were tight controls on refugees working; the British Jewish community had to give a guarantee that it would provide for their maintenance; and it was expected that most would be in the UK only on a temporary basis (although this eventually turned out not to be the case for many). The introduction of the notorious White Paper of 1939, which capped Jewish migration to Mandatory Palestine at 20,000 per year, closed off another potential route of escape. “The world is divided into places where [Jews] cannot live and places where they may not enter,” lamented future Israeli president Chaim Weizmann. By September 1939, the door was, once again, slammed shut as the government declared that it wouldn’t admit anyone to the UK from countries with which it was at war or were occupied by its enemy. At the time there were around 65,000 Jewish refugees from the Nazis in the UK, about 10,000 of them children. Behind these statistics, of course, lay heart-wrenching tales of children separated from parents who they would never see again. 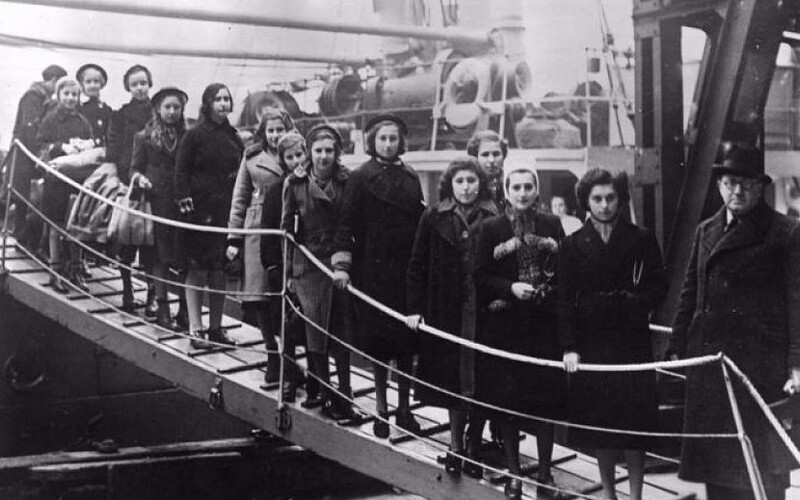 The nature of the British government’s attitude towards Jewish refugees has been much debated. Some have argued that it was, as the historian Bernard Wasserstein concluded, “less a matter of deliberate anti-Jewish prejudice than of the limited horizons of bureaucratic thinking.” Others have defended its leniency or highlighted the government’s belief that allowing a large influx of refugees might kindle latent anti-Semitism. “The last thing we wanted here was the creation of a ‘Jewish problem,’” the Home Secretary, Sir Samuel Hoare, told a delegation from the Board of Deputies in 1938. This was a view that also found favor with some communal groups. Moreover, the government also feared that any loosening of its restrictions might potentially provoke further large-scale expulsions of Jews by the Nazis. There is, however, little doubt that, within the ranks of the governing Conservative party and its allies in the press (especially the pro-Nazi Daily Mail) there was an at-times ill-disguised noxious mix of snobbery and anti-Semitism. Thankfully, Chamberlain’s attitude was not shared by a number of his successors in Downing Street and their families. Clement Attlee, who served as Winston Churchill’s deputy during the war and then went on to lead the post-war Labour government, was recently revealed to have sponsored a Jewish family to come to Britain in 1939, and taken in one of the sons for a number of months. Margaret Thatcher’s family helpedher sister’s Austrian Jewish pen pal to escape Vienna after the Anschluss. Edith Mühlbauer lived with the family for a time, an experience which appears to have shaped the late prime minister’s life-long detestation of anti-Semitism. Thatcher’s predecessor in Downing Street, James Callaghan, also provided a home to a non-Jewish Austrian journalist who had fled the Nazis. But some refugees were to find Britain comically insular: “I hear you come from Germany. Did you know the Goerings?” one London society hostess asked the Jewish publisher George Weidenfeld. The summer of 1940 marked a moment of acute anxiety for the British people as a German invasion of their country appeared imminent. That anxiety was shared by new arrivals who faced the prospect of falling into the hands of those they had escaped. But rather than providing a unifying sentiment, the common anxiety between newcomers and native Britons proved for a time to be decidedly divisive. Days before Germany invaded Poland in September 1939, emergency legislation was rushed through parliament giving the Home Secretary the power to intern “enemy aliens” — non-naturalized Germans and Austrians living within the UK — in the event of war. In a mammoth and chaotic bureaucratic exercise, which drew on assessments provided by the grossly overstretched and undermanned security services, some 120 tribunals were then established to examine the cases of 70,000 people. A small minority — mainly Nazi sympathizers — were deemed to fall into “Category A” and were immediately locked up. Those whose cases were harder to assess — “Category B” — were not interned but subject to certain restrictions. The vast majority of those assessed — some 66,000 people, including most refugees and Jews — were granted a “Category C” status and were exempt from internment or restrictions. However, as Hitler’s armies swept across western Europe in the spring of 1940, panic set in. Fears that “Quislings” could stab the country in the back and assist a German invasion as they had done in Norway were widespread. The government, which had trod carefully at first, caved in. All those in “Category B”; all male enemy aliens living near the coasts where the Germans were expected to land; and, finally, all men in “Category C” became subject to internment as the order to “collar the lot” went out from Winston Churchill’s Cabinet. A variety of holding and permanent camps on the Isle of Man and around Glasgow, Liverpool, Manchester, Bury, Huyton, Sutton Coldfield, London, Kempton Park, Lingfield, Seaton and Paignton, began to fill up. It is calculated that some 27,000 enemy aliens, including 4,000 women and many Jews, were eventually interned. Today, the mass internment is considered not only morally wrong and pointless, but also potentially perilous. It focused the security services’ attention on those who posed no threat to the country while allowing “Fifth Columnists,” who most certainly did, the chance to escape proper scrutiny. 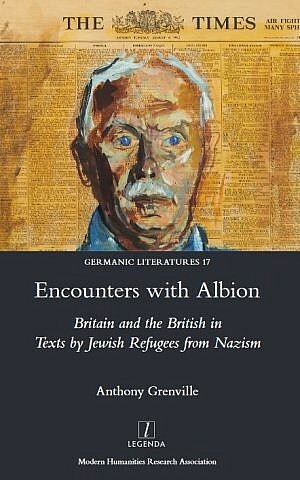 As Anthony Grenville argues in his new book “Encounters With Albion: Britain and the British in Texts by Jewish Refugees from Nazism,” this event marked the “darkest chapter” — a “bespattered page” as one MP put it in a parliamentary debate in August 1940 — in the story of the relationship between Jewish refugees and Britain. By examining the writings of Jews who had escaped to the UK, Grenville has pieced together an invaluable account of the feelings of shock, anger and confusion which those who were interned experienced. 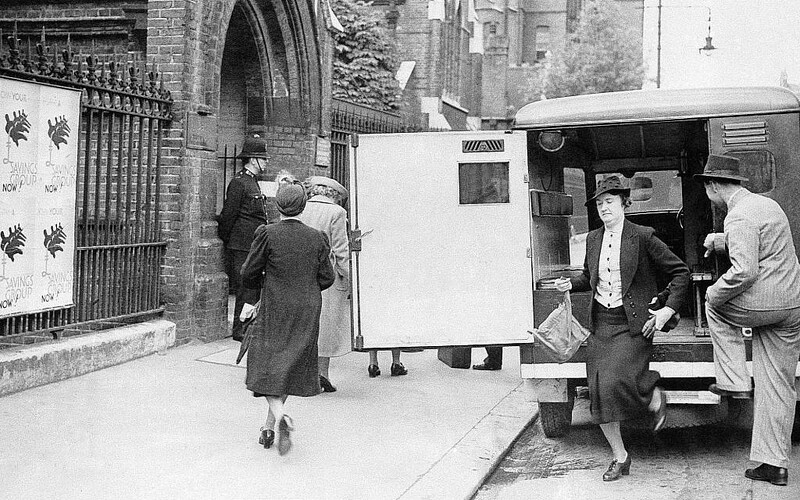 The police who rounded up detainees, and the soldiers who later guarded them, were frequently friendly and humane, and many refugees recorded acts of kindness on the part of British civilians. However, conditions, especially in the holding camps, were often bleak and disorganized. 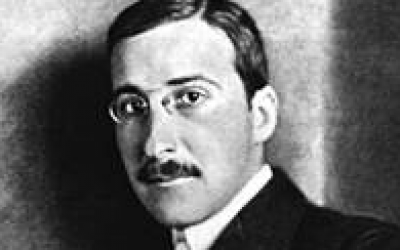 “How unspeakably repulsive is everything that impinges on one’s five senses,” recorded the Austrian composer Hans Gál. But, as Grenville notes, it was the psychological and emotional impact, rather than the physical discomfort, which many Jewish refugees found most difficult to take. Deprived of their status as “loyal adherents to the Allied cause, [they] were suddenly treated like the Nazis, their persecutors,” Grenville writes. Moreover, even attempts by soldiers at tactfulness — one officer welcomed his charges to the Isle of Man with a speech but carefully avoided any references to victory — sometimes added insult to injury, by suggesting that the refugees were not also willing the Nazis’ defeat. Detention on the Isle of Man — a rugged island in the Irish Sea between Great Britain and Ireland — provoked a particular fear for those held there. Although safe from the air raids their families were enduring on the mainland, the island offered no way of escape if the Germans invaded. As the camps began to overflow, the government accepted offers from its allies in Canada and Australia and began the process of deporting some of those it had detained. Logic dictated that the minority to be sent overseas should be those Nazi sympathizers who posed a clear and present danger to the UK. Initially, that appears to have been the plan, but in the ensuing chaos such considerations broke down. On the Isle of Man, for instance, an attempt to draw up lists of those whose loyalty was suspect was abandoned, and it was instead decided to transport young and unmarried men. 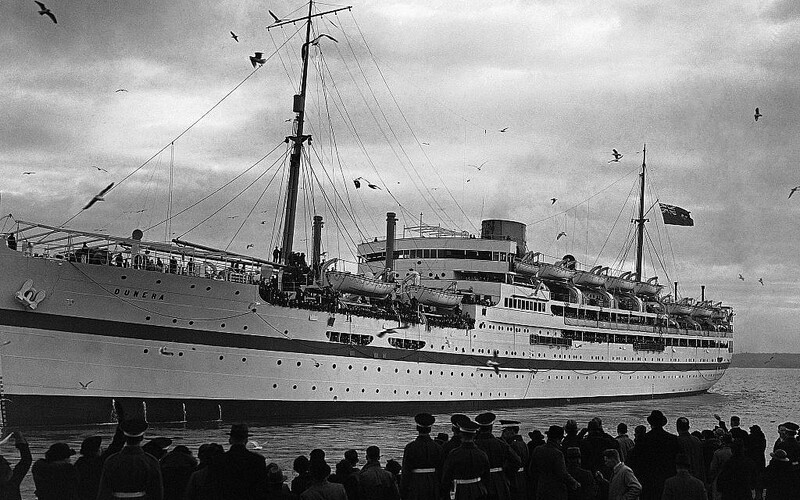 From June 24 to July 10, 1940, five boats carrying more than 7,500 internees set sail for Canada and Austria. Aboard at least some of them were a mix of Nazis, Italian fascists (internment had applied to Italians living in the UK after Mussolini declared war in June 1940) and Jewish refugees. 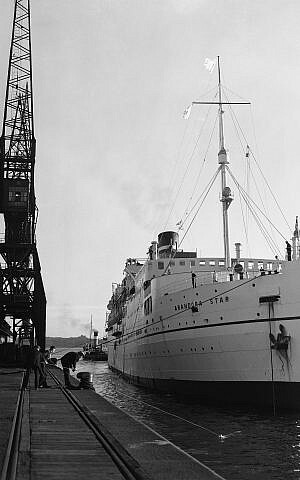 On July 2, tragedy struck and one of the vessels, the Arandora Star, was torpedoed in the Atlantic and sunk by a German u-boat as it made its way to Canada. On board were 712 Italians, 438 Germans — including Nazi sympathizers and Jewish refugees — and 374 British seaman and soldiers. Over half lost their lives. While the government attempted to quiet the ensuing public outcry by falsely claiming that all of those on board were prisoners of war or “Category A” enemy aliens, it soon changed course. As public sympathy for refugees rose, the Home Office released details of categories of those interned who would be eligible for release. In August, over 1,600 German, Austrian and Italian internees were freed; by October the number had risen to 5,000 and 8,000 in December. By the following spring, 12,500 internees had been released and as 1942 broke the number of enemy aliens detained, mainly on the Isle of Man, had dropped to 5,000. However, as the government executed an inglorious u-turn, terrible events were unfolding on the high seas. The Dunera, a passenger ship which was used extensively to ferry troops around once the war broke out, left Liverpool on July 10. While its capacity was 1,600 including crew, the vessel was crammed with over 2,500 detainees. Around 2,000 were refugees — the vast majority Jewish — but also on board were 450 Italian and German prisoners of war, among their ranks fascists and Nazi sympathizers. The ship also carried some survivors from the Arandora Star. In the Irish Sea, the Dunera itself was also hit by two torpedoes — the first failed to detonate, the second passed underneath the boat as it rose in the notoriously choppy waters. Unaware of their destination — many thought the boat was headed to Canada or South Africa — the “Dunera Boys,” as they became known, steamed towards Australia. Overcrowding ensured that conditions during the 57-day voyage were dire. Men were forced to sleep on the floors and benches, and were kept below deck for all but 30 minutes a day, with the portholes fastened tight. There were just 10 toilets and fresh water was provided only two or three times a week. Razors and shaving equipment were confiscated. Some of the troops guarding the detainees — “the worst in the British army,” according to one survivor — stole from those on board. Many of the passengers found their luggage, passports, and even false teeth had been thrown overboard. Religious vestments — some of which had been rescued from burning synagogues in Germany — were ripped from their owners. Guards were also accused of engaging in deliberate acts of cruelty, smashing bottles on the decks which they knew barefoot passengers would have to walk on. When the ship arrived in Sydney on 6 September, an appalled Australian medical officer came aboard. As news filtered back to London, questions were asked in parliament. Churchill apologized and later described the incident as “a deplorable mistake.” A court martial was ordered and some of the guards were punished and imprisoned, with the ship’s senior officer suffering a severe reprimand. A fund to compensate the passengers for their stolen and lost items was established. Many of the men were scientists, academics and artists, and their arrival was later seen as “the greatest injection of talent to enter Australia on a single vessel.” That was apparent immediately at the camps in Tatura in Victoria and Hay in New South Wales where they were held. A university was established, cultural and sporting events organized and a constitution drawn up, giving the camps, in the words of one detainee, “the character of a small working republic.” While the process of release was slower than in England, by the middle of 1942 at least 1,300 had been freed. The story of the “Dunera boys” is largely unknown in Britain, but it is celebrated in Australia where around half of the detainees later settled. Some — such as the philosopher Peter Herbst, political scientist Henry Mayer and physicist Hans Buchdahl — became leading academic figures in the country. Others shone in the worlds of business, culture and sport. 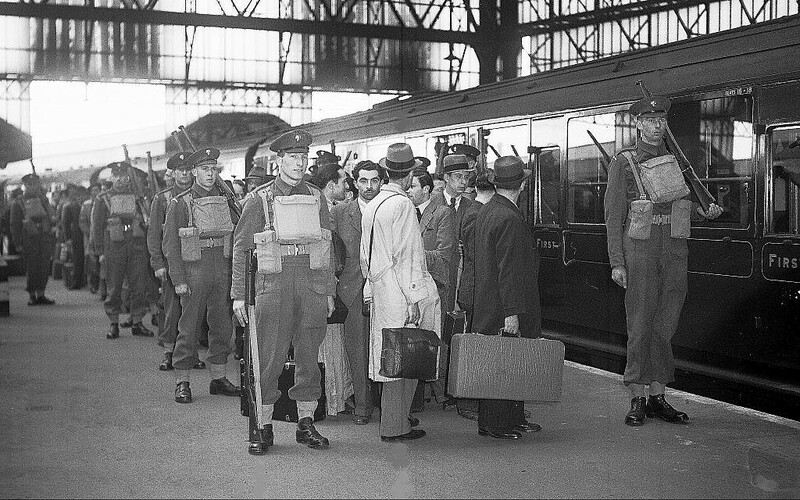 Many of the other refugees who chose to return to Britain took up an offer from the government to enlist in the army and assist in the war effort. They joined the estimated 10,000 refugees who served in the British forces. This was the opportunity — to work alongside those who had provided them with refuge to fight their common enemy — which the Jews who fled Hitler had wanted all along. Belatedly, they were granted it.